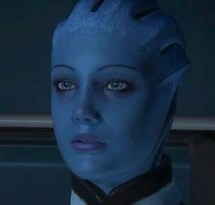 I love Bioware – they can pretty much have my children. I love the characters and I love the possibilities. I also love the romance options in their game. The Mass Effect series carries that romantic lovey-gooey stuff with them. Mass Effect, all three, have a wide range of options for love on both side of the gender wall but the true question is which one is your favorite? This entry was posted in games, Web Poll and tagged Asari, Ashley, cortez, diana, garrus, geek, jack, jacob, Kaidan, Kelly, Liara, love, Mass Effect, mass effect 2, mass effect 3, miranda, morinth, romance, Samanatha, Samara, tali, thane, Video Games. Bookmark the permalink. Its such as you read my mind! You seem to know so much approximately this, like you wrote the guide in it or something. I feel that you just can do with some % to power the message home a bit, but other than that, that is magnificent blog. A fantastic read. I’ll certainly be back.